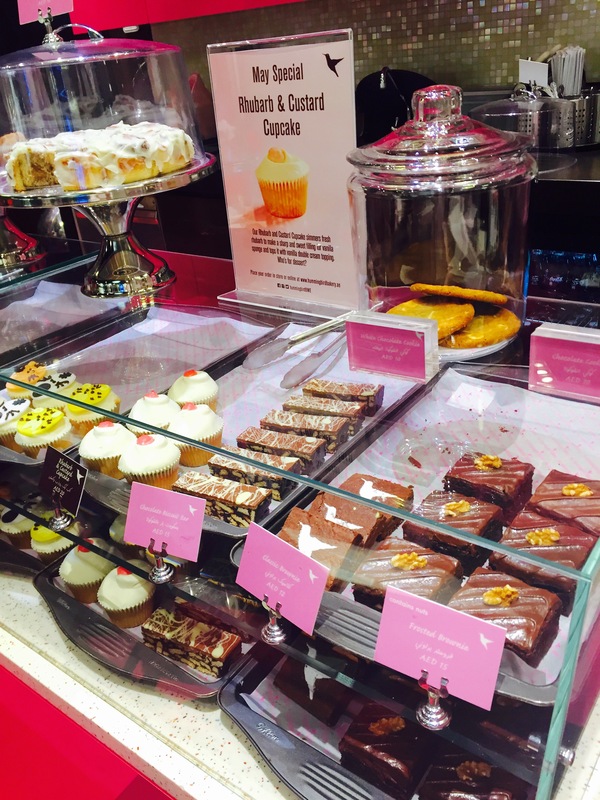 Last Thursday, we decided to check out the recently launched Afternoon Tea Time Menu at Hummingbird Bakery. 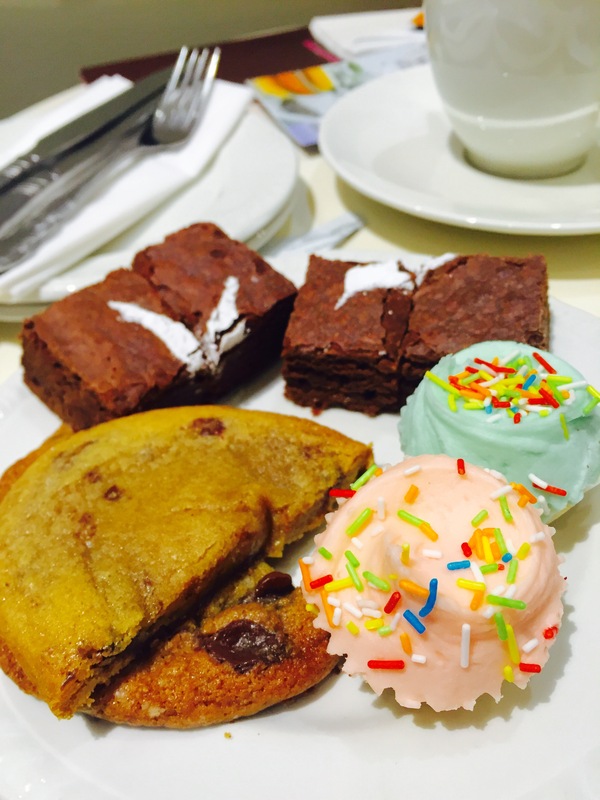 If you haven’t already realised, I have a major sweet tooth, and desserts are my weakness. Therefore, there was not a doubt in my mind that I had to see what the Hummingbird Bakery would offer. 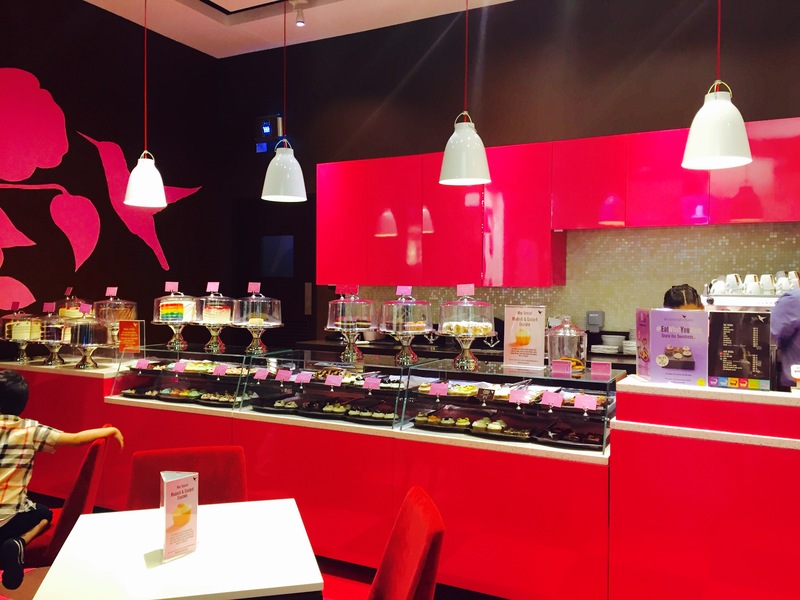 We headed to the Dubai Mall branch and I was instantly in love with the hot pink decor. With plenty of cakes and treats on show, I spent a few minutes gazing at their counter in awe. 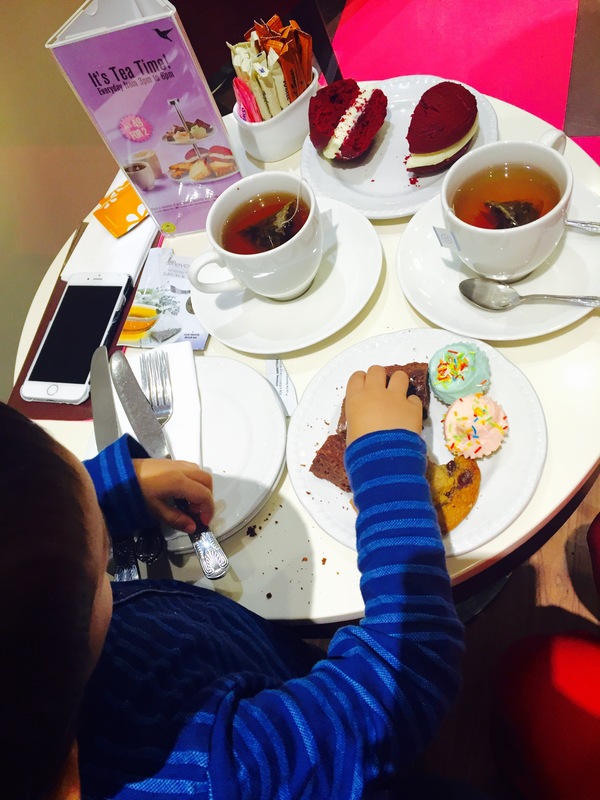 The variety of flavours and types of cakes was huge, and I was super excited to try out a couple myself! 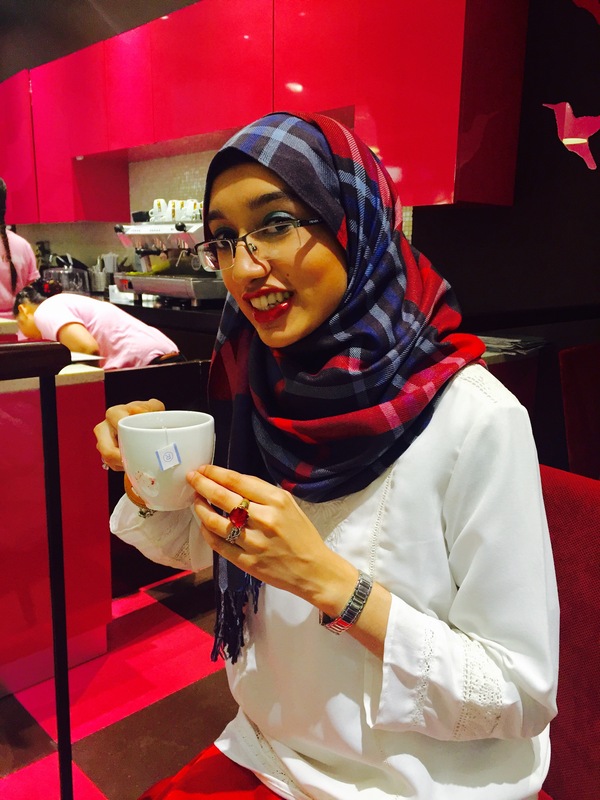 The Afternoon Tea Time Menu runs every day between 3 pm to 6 pm, and is priced at AED 49 for 2 people. I was told this is very much value for money, especially since you make a 30 percent saving through opting for this deal. The Tea Time treat includes a cup of tea and/or coffee as well as a Red Velvet Whoopie Pie, 2 mini Cupcakes, 4 mini Chocolate Brownies, 1 Chocolate Cookie and 1 slice of Lemon Loaf. Myself and Mr Z opted for 2 cups of Earl Grey, which had a hint of lavender and made for a very delicious blend of tea indeed. We were told that the cake stand had not arrived and so the cakes would be brought out in plates, which we were not fussed about, since its the selection of desserts that I was really looking to devour. All the desserts arrived apart from the lemon loaf, and we were ready to dig in. I don’t think I can pick a favourite between the cookies, brownies and the cupcakes, as they were all just as delicious. The brownies very quickly dissapeared (the culprit has been caught red handed in the photo above) and I loved the soft chewy texture of the cookies. It was pretty clear that all the desserts were freshly made as they were soft and full of flavour. The Red Velvet Whoopie Pie was a little too decadent for me, and that’s coming from a sweet tooth like me! The Lemon Loaf did finally arrive, once we had almost finished the rest of our tea and desserts. Again, due to my sweet tooth, I was not a big fan of the sourness of the lemon syrup on the loaf, but my husband thought it was delicious and proceeded to eat the loaf in a few bites. Well, to each his own! Though I was dissapointed that it arrived a little late, especially because I think it is a crucial way to bring balance in between all the other sweet treats, it was fresh and moist, just like a lemon loaf should be. 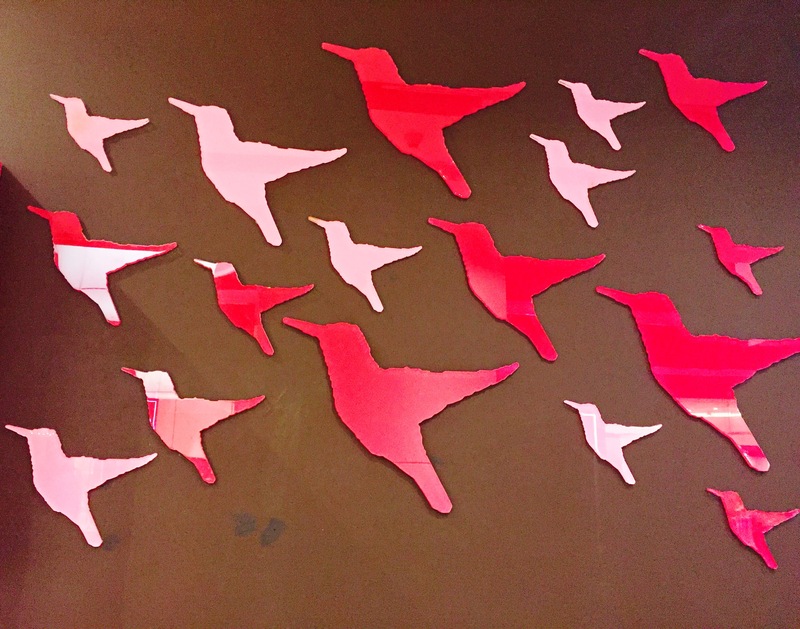 Overall, I had a lovely time at Hummingbird Bakery, and can see myself coming back again to enjoy their delicious treats, for two reasons. First, the freshness and quality of the cakes (which is what the bakery prides itself on), and secondly the affordable price. Of course, I would have liked to see a scone or two in the menu, but that’s just the English in me. I am also looking forward to trying out the other desserts they had on show, especially the frosted brownies which looked divine! 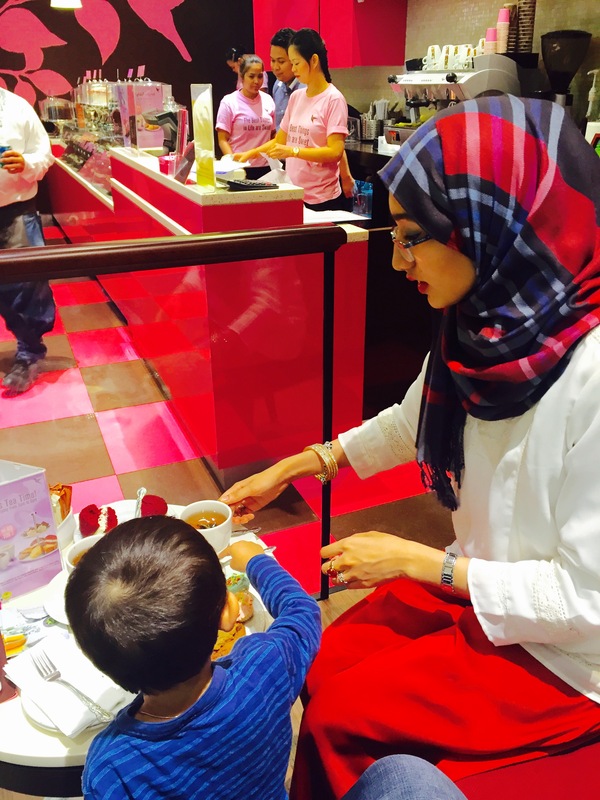 If you want a bite of the afternoon tea time ritual, head on over to their branch in Dubai Mall or Mall of the Emirates and enjoy these delicious treats between 3 pm to 6 pm for the price of AED 49. Don’t forget to take a friend or partner with you though, as I know how tempting it is to devour all of this on your own! 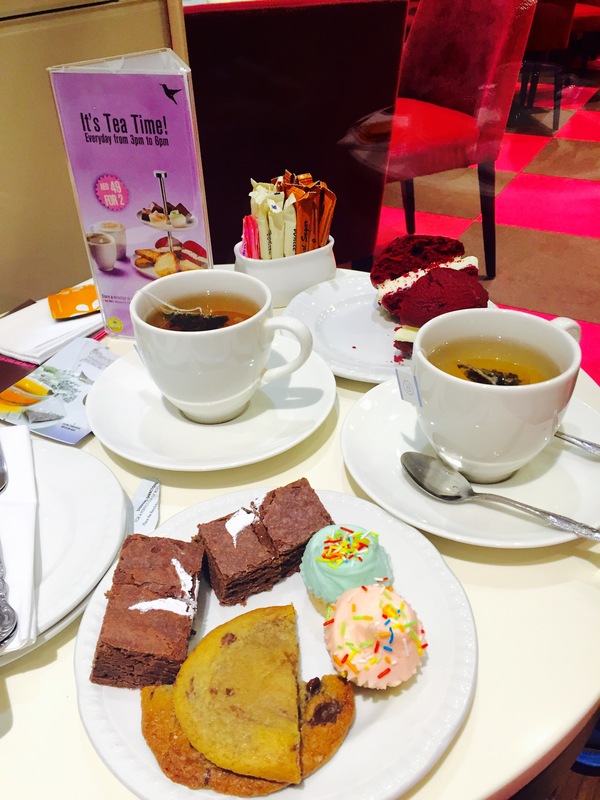 Note: We were invited by Hummingbird Bakery to try out their Tea Time Menu, however all views and opinions expressed above are my own.